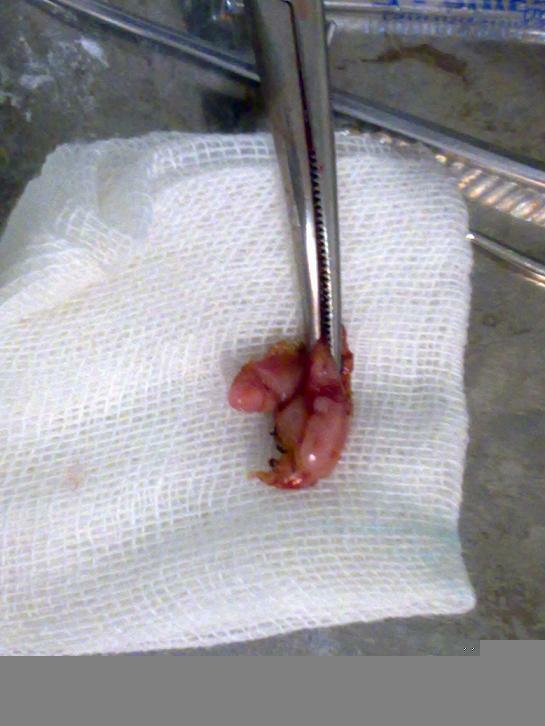 The Epulis fissuratum is caused by chronic irritation from badly adapted prostheses presents itself as a connective tissue tumor. Trauma and irritation are important etiological factors for Epulis fissuratum .Elimination of trauma/ irritation and inflammation can lead to modest decreases in lesion's size and conservative excisional surgery is the definitive treatment. There have been numerous surgical techniques developed for removing the Epulis fissuratum lesions .Most of these techniques can cause postoperative complications such as edema, pain, difficulty in swallowing and jaw movements, hemorrhage, infections and slow placement of final prostheses. More recently laser irritation has been used for removing hyper plastic mucosal lesions. In this patient, the use of CO2 laser for the surgical removal of Epulis lesions has resulted in several improvements including convenient mucosa removal, no bleeding or need for sutures, and minimal postoperative pain and edema and ideal healing after a month. CO2 Laser has less post-operative complication compare to other methods and could be treatment of choice in treatment of Epulis fissuratum. 3Dentist , Laser Research Center of Dentistry (LRCD), School of Dentistry, Tehran University of Medical Sciences.